What's holding America back from embracing new ways of banking? The world of finance and the technology that supports it is constantly evolving. As early as 1866, the first transatlantic cable was laid, providing an infrastructure for financial globalization. A century later, the ATM/ABM was introduced, and by 1998, banks established the first transactional websites for Internet banking. That commitment to innovation continues to drive the finance technology or “FinTech” industry at a rapid pace, as evidenced by the more recent arrival of mobile banking and smartphone payments. Over those 150 years, technology and the modern idea of “FinTech” has transformed dramatically, changing how we think about finances. Now, smartphones help us spend, save and transfer our money with ease. Despite the benefits of new technology, America lags in FinTech adoption, ranking 10th out of 20 major global markets according to the EY FinTech Adoption Index 2017. So, what’s keeping Americans from embracing new ways of banking? Fear is a likely culprit since people tend to be cautious, especially with their money. But that reluctance prevents consumers from accessing exciting new products and services. To help clear the way for the adoption of FinTech, perhaps we need to debunk some common misconceptions. FinTech is still a new concept for many, especially compared to Americans’ relationship with the big banks, which have been around for over 200 years. Marry that with an inherently loyal streak and it’s not surprising Americans cling to traditional banking norms. But Americans should rest easy, because FinTechs aren’t changing the functions of how money is used, but rather its accessibility. For example, wire transfers originated in the 19th century, but now you can transfer money to a cousin in Italy via a smartphone. It’s fundamentally the same concept, but technology advances eliminate the need to physically visit a bank branch. There’s also the misconception that FinTechs aren’t regulated. That’s simply not true. On both a federal and state level, legislation regulates the commercial relationship between FinTech companies and their customers, offering protection and peace of mind. This includes rules regarding online contracting, false, misleading or deceptive representations, and unfair practices. Today, many federally-regulated banks, financial institutions, and intermediaries in America have adopted and embraced FinTech to improve on back-office functions and help provide customers with convenient products and services. But standing alone, some FinTech companies go a step further than banks to promote trust through transparency. For example, TransferWise, a FinTech company providing overseas money transfers, shows real exchange rates with no markups or hidden fees. Through transparency, FinTechs hope to build consumer confidence. 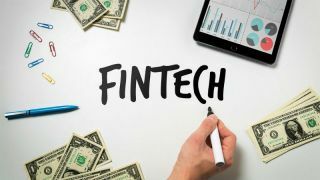 Paired with a strong regulatory framework and the confidence that comes from knowing federally-regulated financial institutions are using these technologies, FinTech is far from the Wild West. While consumers should rightfully be concerned about their personal information, it shouldn’t hinder their decision to try reputable FinTech products or services. Because of the amount of personal information FinTech companies collect and store, many have adopted bank-level security measures and applied them to their platforms. Consumers can also take a proactive approach by selecting FinTechs that offer robust privacy policies and encryption, as well as conduct regular security assessments and audits. This couldn’t be farther from the truth. The main selling point of any FinTech company is to make finances simpler, more convenient, more transparent and more personalized. Many people also assume FinTechs are only available via mobile, but in fact most are also available via computer—so you don’t need the latest and greatest mobile phone to access their services. In most cases, FinTechs are known to offer better customer service than traditional players, prioritizing 24/7 access and allowing customers to engage on multiple channels, rather than in person or on the phone. Failure isn’t a word you hear often in the financial industry, and it’s no different for FinTechs. Take digital payments, for instance. They continue to be built into services instead of being offered as a standalone product. As a result, many large banks are actively partnering with FinTech companies to extend those services to their customers. We see this happening in America as well as globally, where TransferWise recently became the first non-bank to become a member of the UK's Faster Payments Scheme (FPS) and France's Groupe BPCE’s money transfer service. That’s just one example. FinTechs aren’t going anywhere, thanks to their ability to deliver valued enhancements to banking services, and in some cases, replace banking services completely. Given the fast pace of innovation in the FinTech field, Americans will continue to have plenty of reasons to get past their fear and embrace the convenience and added value FinTech can deliver.